Various trends evolve from time to time in all tiers of technology and that includes the smartphone industry. This year has seen a significant shift towards the bezel-less and 18:9 aspect ratios smartphones. One of these smartphones is the Homtom S7, that features a both an 18:9 aspect ratio and a reduced bezel design. The device comes with a nice aesthetic with a decent effort put into the smartphone’s ergonomics. When it come to appearance the Homtom S7 is a beauty to behold with a CNC metallic build and a sleekness that improves the smartphone’s aesthetics. The Homtom S7 is available in different colour variants which are black, blue and silver. The bezel on both sides of the device has been reduced in combination with the 18:9 aspect ratio to provide more room for viewing. For display there is a 5.5-inches 640 x 1280 pixel resolution HD IPS panel handling things which is definitely not the best around but is enough for normal day to day activities. It gives a decent viewing experience when watching movies or playing games and does not weigh much on the battery compared to high-res displays. There has been a rise in the amount phones sporting a dual rear camera especially from Chinese OEMs. The Homtom S7 also features a dual rear camera combining a 13MP and a 2MP sensor, with the latter supposedly responsible for the bokeh effect. The front camera on the front side, however features a single 8MP sensor for taking selfies which is not bad for a smartphone in this price segment. There is no LED flash on the front side unlike the rear camera that sports a LED flash between the two sensors. A decent performance is provided by the 64 bit quad core MediaTek MT6739 processor alongside a 2 core Mali-T720 GPU handling the graphics. The processor clocks at a maximum of 1.3 GHz while the GPU has a frequency 650 MHz . The Homtom S7 has an internal memory of 3GB while the built-in storage is at 32GB and can be expanded up to 64GB using a memory card. Also, the smartphone comes with the Android 7.0 out of the box. 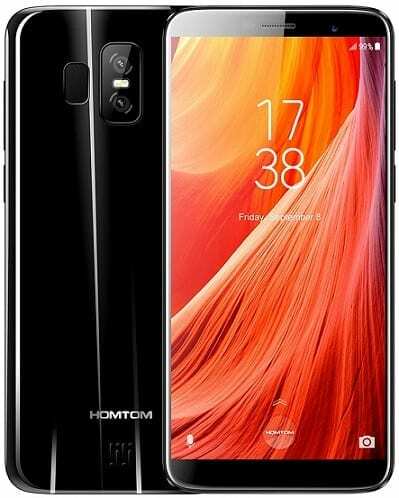 In addition, Homtom S7 comes with a 2900mAh which is on the low side, this is why things like the display panel resolution is being kept on a minimum. 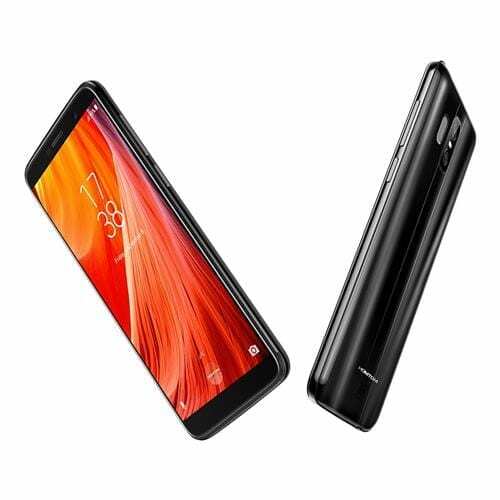 Also, there is a fingerprint senosr situated at the rear and 4G LTE connectivity all in a well designed smartphone. The Homtom S7 can purchased from various online stores within and out of the country, however, the price ranges from 38, 000 Naira to 45, 000 Naira. There might be additional expense for the silver colour variant of the HomTom S7 and your location also decide the additional charges incurred.